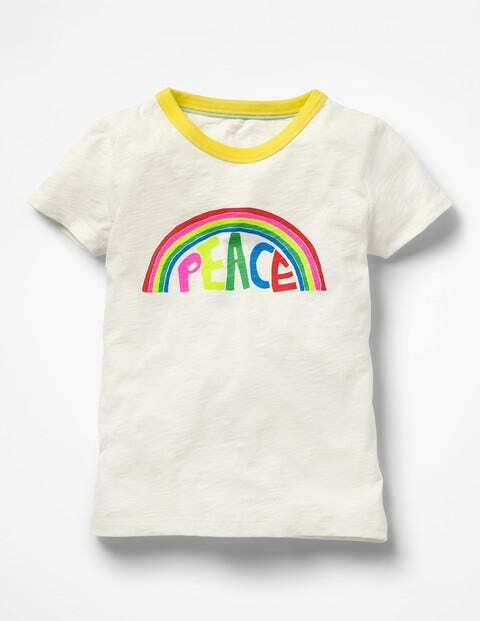 This cool and carefree T-shirt is designed for sunny days and party nights, with a relaxed fit and bold prints. In a soft, light jersey fabric, it'll tuck away easily even in the smallest of suitcases. Choose from festival-inspired designs for surfer girls and happy campers, with neon colours, foil prints and a contrast rib neckline. Rock on.